After the Sony Xperia Tablet Z in the past few days almost every day in the rumor mill made ​​his rounds, now was the official presentation of the Japanese group. The 10.1-inch tablet with a full HD display is therefore actually 6.9 millimeters thick, the thinnest tablet on the market currently . Crux of the unit could advance as already suggested the battery may be, it is still a 6000 mAh battery. Sony announced its Xperia Tablet Z in the Japanese home and told it that it is the 10.1-inch tablet with the screen resolution of 1,920 x 1,200 pixels will be on the market. In addition, the tablet with the Mobile Bravia Engine 2 is equipped. For the drive, as expected, makes a Qualcomm quad-core processor. The Snapdragon S4 Pro is provided with a clock speed of 1.5 GHz. As an operating system, the Sony Xperia Android 4.1.2 Tablet Z Jelly Bean used. The other details such as 2 GB of RAM, 32 GB internal memory (+ microSD card slot), NFC and LTE no surprise. In addition, also as expected, a 8.1-megapixel camera with Exmor R is installed on the back. 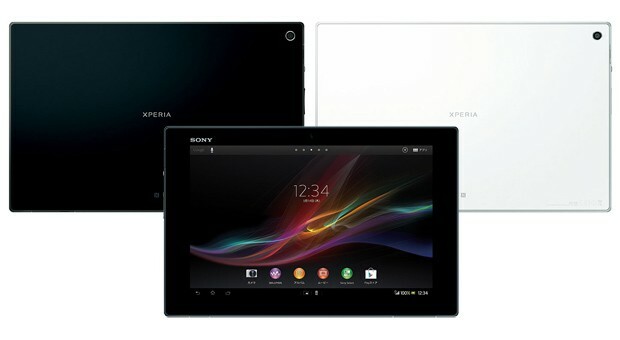 The virtual surround sound technology S-Force of the Japanese manufacturer is the Sony Xperia Tablet Z used. The design of the tablet is based on the way, as expected much of Smartlets Sony Xperia Z . Also in terms of thickness and weight of Sony was due to the advance leaks present no surprise. Thus the will Xperia Tablet Z the previous leader Toshiba AT200 replace with its 7.6 millimeters thick. The Sony Xperia Tablet Z will be all that is 6.9 millimeters thick. Weight also is suspected as at 495 gram. Likewise, the upcoming Sony Tablet will be waterproof and dustproof. The only sticking point of the device could actually be the battery according to the present official details now, but this is with 6,000 mAh rated more closely. A release date and price have not yet called Sony. We both know maybe at MWC 2013 in Barcelona.